FOREWORD: "We all said that ‘One generation of aircraft, one generation of aeronautical materials’, but now that was reversed.” LI Hongping said, Vice Director Designer of COMAC Shanghai Aircraft Design and Research Institute. 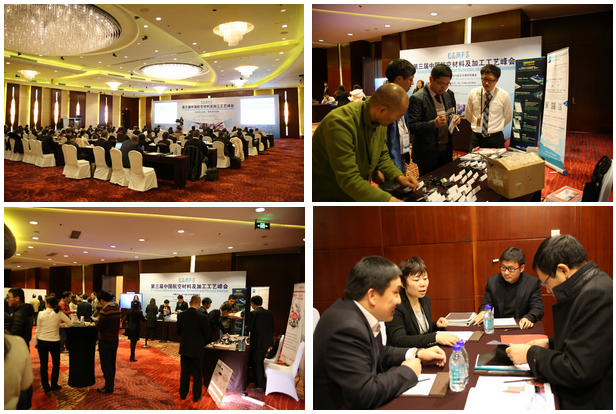 On Nov.24, 2015, 3rd Annual China Aeronautical Materials and Process Summit, organized by Chinese Society of Aeronautics and Astronautics, co-organized by AVIC Beijing Aeronautical Manufacturing Technology Research Institute and hosted by Galleon (Shanghai) Consulting Co., Ltd., was successfully held in Beijing. The summit with the theme of “Innovation Driving Development, Green Leading Future” discussed topics including the latest policy in aviation industry, application of domestic and foreign advanced aeronautical materials research and development, trend of aircraft interiors, leading civil aircraft manufacturing technology, aero-engine materials and processing, etc.. The compilation of the 13th Five-Year Plan in new materials industry made Graphene, King of New Materials, attracted by public once again. CHEN Yali, Researcher of China Aviation Industry R&D Center, referred it in her speech that after the progress of traditional metallic materials and composites, industrial materials trended to "artificial design" which reflected in that materials computing technology had great effect on development of future materials, what’s more, emerging materials like nanomaterials, metamaterial, smart material would possibly overturn the design concept of aeronautical equipment. What could not be ignored was that improvement of traditional materials which would still make deep influence on future aeronautical equipment enjoyed great potential. "We all said that ‘One generation of aircraft, one generation of aeronautical materials’, but now that was reversed.” LI Hongping said, Vice Director Designer of COMAC Shanghai Aircraft Design and Research Institute. She expressed herself in her topic “Advanced Metal Material with Lower Density and Higher Damage Tolerance Applied on the Civil Aircraft and Development Tutorial” that there was two lightspot in civil aircraft material selection. One was the application of aluminium lithium alloy. For example, C919 firstly used aluminium lithium batteries. The other was high damage tolerant aluminium alloy. This kind of alloy of medium strength was in accordance with our aircraft design. In addition, under the same static performance, its damage tolerance was higher than other alloys. In Q&A session, the onsite delegates focused on what is materials selection of next generation wide body civil aircraft. LI answered that, C929 project had not been officially approved now. It would possibly be designed and manufactured with Russia. At present, the initial materials selection plan was mainly composites, in details, composites would be surely used on fuselage, and composites or metallic materials would be used on wings. Titanium was a vital structural metal developed in 1950s. Titanium alloy of high strength, good stain resistance and high heat resistance was widely applied in various fields. HUANG Xu, President of Institute of Titanium Alloy from AVIC Beijing Institute of Aeronautical Materials, gave a detailed speech with the topic “Development Status and Demands of Aeronautical Titanium Alloys”. He introduced three characters of titanium alloy in his speech. First, high specific strength. The density of titanium alloy was 4 to 5. If it was IMC, and its density would be 3.8 as well as its intensity would be 600 to 1500 MPa. Second, wide application range. The titanium aluminium IMC we were studying could be achieved under -200°and there was no obvious embrittlement. Third, high tolerance. Its corrosivity was 10 times better than steel’s in sea or brine. So that, the application level of titanium alloy was an important signal to evaluate the advanced level of aero-engine. Day-3 of summit focused on leading process technology in aviation manufacturing. The topic “The Development Thinking on Aviation Manufacturing Industry under New Industry Revolution” by WANG Yan, Researcher of AVIC Beijing Aeronautical Manufacturing Technology Research Institute opened a new page for the summit. He indicated that both German Industry 4.0 and American Reindustrialization and Digital Manufacturing showed the trend of digitization, networking and intellectualization. Combining with deep integration between industrialization and informatization in China, he thought, digitization was the base of future industrial development, networking was the upholder and intellectualization was the direction. Intellectualization was also core of new generation industrial revolution development. 3D printing technology had been attracted more attention in various field these years. JIA Xin, Deputy Manager of Bright Laser Technologies, introduced the application of 3D printing technology on aircraft. He addressed himself that Boeing and Airbus had positively using 3D printing technology. As early as 2000, Boeing had firstly applied 3D printing technology in its F12 and F18 in order to shorten the cycle and save the cost. Moreover, Airbus had used 3D printing technology from original shape, to tooling, to final components. While, in China, COMAC applied 3D printing technology on laser solid forming of C919 titanium alloy wing spar. The summit last 3 days and delegates discussed development trend of aeronautical materials and process technology through keynote speech, panel discussion, exhibition and one-on-one meeting. It was reported that next annual China Aeronautical Materials and Process Summit would be held in next November.